Genus: Gonatium Menge, 1868. Characters of genus: The species range in size from 2.0-3.7 mm. The cephalothorax and legs are bright orange, orange red or reddish brown. The male head carries no lobe but is slightly raised. Sternum at least as wide as long with coxae IV widely separated. Legs fairly long and slender. Leg spines are short, shorter and weaker in males than in females. Males have tibia I and to a lesser degree tibia II curved and swollen distally. They are furnished ventrally with many long hairs or bristles. Also metatarsi I and II and femora I and II are provided with many short spines or bristles ventrally. There is a single spine on each tibia in both sexes. All metatarsi with a trichobothrium. Tm I range from 0.75-0.95 (Millidge 1981). The tarsal claws are pectinated, consisting of narrow, needle-like teeth. 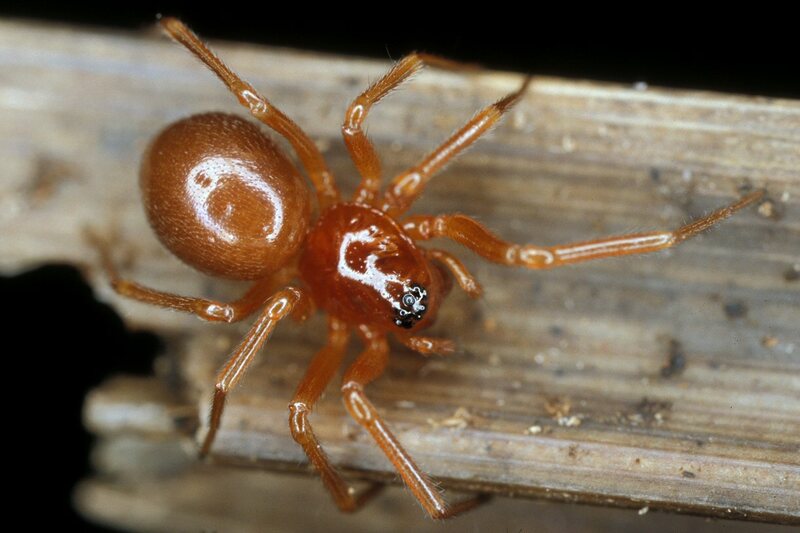 The pectination is different in almost all other groups of spiders with pectinate claws (Millidge 1981). 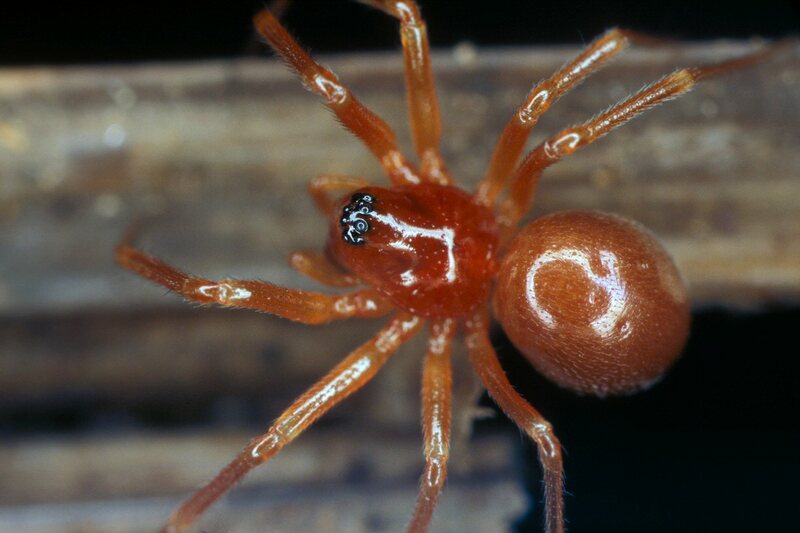 Abdomen globular, often reddish with four sigilla dorsally. There is no scutum. The male palpal femur is swollen in some species. The epigynes of all Gonatium species have the same general appearance, and depending on the number of species at a given locality specimens may be identifiable with a lens.